A small patch of ice on the walkway at first glance is just a few patches of white. But is it? Could there be more to see in this small patch of white? Leaves, lichen, sticks, twigs, grass clippings. They all found themselves embedded in the small patch of ice. Looking at them up close, shapes and motion pop out.Landscapes form along the cracks and crevices of the walk. Mountains and rivers take shape from twigs. 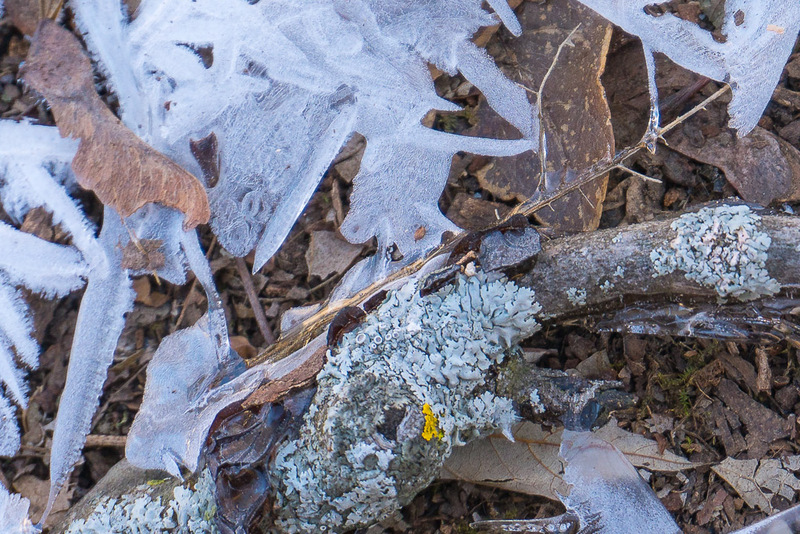 What at first seemed ordinary and small becomes an ice scape. It has it’s own geography, it’s own life, it’s own story. This photo is included in the Backyard Ice gallery.